Earth and its ionosphere form a spherical resonator. Atmospheric electricity discharges (lightning) cause electromagnetic waves of certain frequencies in the space between the Earth and the ionosphere, which, after rounding the globe coincide with their own phase again, i.e. they enter into resonance. Such waves exist for a long time, repeatedly rounding the globe. They were called Schumann waves after their discoverer. Schumann resonance frequency depends on the diameter of the Earth and is equal to 7.83 Hz. This is the main natural electromagnetic frequency of our planet. The resonator 'Earth-ionosphere' is like a bell. Each bell has its fundamental frequency - note, which it sounds. The frequency of Schumann is a basic 'note', which the Planet Earth 'buzzes'. This basic buzz of the Earth has been existing before dinosaurs, when dinosaurs, when primitive people, and still exists now. 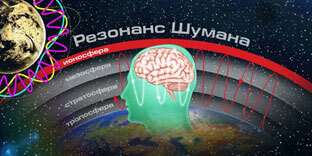 All the development of mankind passed at 7.83 hertz, which resulted in the formation and operation of the human brain. 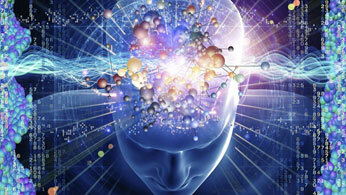 The brain, like the Earth, constantly emits electromagnetic waves. 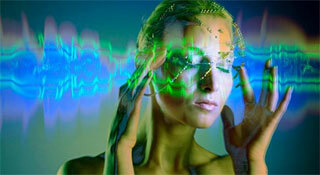 The backgroung rhythm of our brain is the same as the basic frequency of the Earth. This is the rhythm of calmness that is more pronounced when we close our eyes and stop thinking about something specific. It occurs during awakening and before going to sleep, and is particularly noticeable in those who practice meditation. This is the alpha rhythm of the brain, and it resembles the state of quiet breathing. Breathing is always there. If a person is excited, he/she is breathing more often. If sick, suffocating. But he/she cannot not breathe at all. Without breathing there is no life, like there is no life without the alpha rhythm of the brain. And it is exactly the same with the buzz of the Earth. Our planet is covered with wires and mobile stations. Each wire and transmission line emit electromagnetic waves with a frequency of 50-60 hertz. Very few people care, but FM-stations and television broadcast at frequencies that are millions times higher, meanwhile Wi-Fi and cellular - billions. The wires do not interrupt from listening to the radio, then everything is fine! But if you decide to listen to the rhythm of the Earth, you will find that the air is packed with a powerful interference from the power system of the Earth. You can go to the end of the world. The property of low frequencies is that you will hear from anywhere in the world all the noise that every wire produces. Every second millions of people turn on or off the light, this is enough to prevent our brain from 'hearing' the basic rhythm of the Earth that the brain needs. Meanwhile interference from cellular and Wi-Fi makes the connection of the brain with the rhythm of the Earth even weaker. Don't sleep well? You feel fatigue, weakness and constant tension? Even if you leave for taiga, the power system impulses will get you even at a few hundred kilometers away from you. The effect of the oscillations of the Earth's electromagnetic field on the epiphysis, which secretes melatonin, responsible for the control of physiologic daily rhythm is scientifically proved. Due to magnetoceptive properties of the retina, the perceived oscillations of the electromagnetic field of the Earth impact the pineal gland. 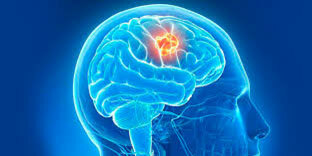 But the pineal gland itself, like the antenna, tends to be activated by means of electromagnetic field. For example, a 2006 studies by S.Rapoport about patients with cardiovascular diseases, have shown that in periods of geomagnetic disturbances and magnetic storms, when the background rhythm of the Earth is muted, there is significant suppression of melatonin production. It is also proved that the electromagnetic field of the Earth changes the permeability of cell membranes by reducing their hydrophobicity and enhancing the activity of Ca2 + channels of cell membranes. Epiphysis as the most important element of neurohormonal system is involved in providing regulation of the activity of many organs and systems depending on external conditions - annual and daily rhythms, temperature indicators, and the electromagnetic field of the Earth. Contributes to the restoration and replication of DNA. Bioland imitates the natural primary electromagnetic background of the Earth and is the natural source of synchronization of human biorhythms, muffled by techogenic 'electromagnetic smog' - promoting and maintaining healthy operation of the pineal gland. 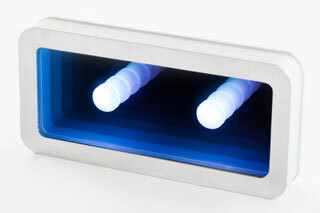 Zenlight represents an analyzer of the random events stream. The stream of random events is generated based on the true and NIST certified (National Institute of Standards and Technology) analog random number generator (hardware white noise generator). Analysis of accidental event flow parameters is made on the virtual neurocomputer (VNC) 'EMBRION', implemented on the microprocessor of STM. 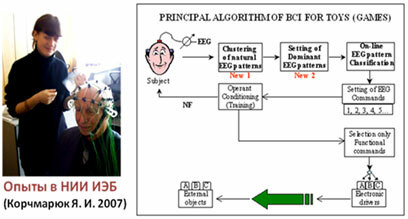 In the process of operation of the virtual neurocomputer 'EMBRION' under the influence of the noise generator with a clock frequency of the processor, there arise and multiply virtual bifurcation points, distributed over the inner, virtual space and time, which have high sensitivity to external mental-volitional influences. The number of these bifurcation points is limited by length and depth of the VNC field. Next, the processor measures the frequency of occurrence of each of the bifurcation points and compares them with a probability of occurrence of these points for a truly random process, according to the quantum mechanics and the field structure of VNC 'EMBRION'. 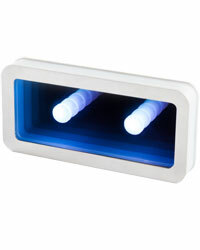 The result of the comparative analysis is displayed with multi-colored LEDs, defining the radiating color. 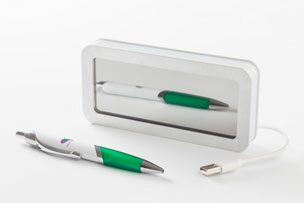 ZL technology is based on the achievements of the joint practical work of the Scientific Research Institute of energy-information biotechnologies (Nizhny Novgorod, 'EMBRION' project) and PSYGMA Group on the basis of the Moscow State University (Moscow, 'Psychobutton' project). During fifteen years, there has been carried out the scientific technological research and developments in the field of interaction between consciousness and the physical world, in particular, the ability of the human mind to influence the behavior of random, from the point of view of the physical laws, processes. This work is based on the original theory of psycho-physical processes in the form of a mathematical model of 'psyphysics' developed by K.Plohotnikov. Within a framework of the model 'psyphysics' it was managed to formulate the concept psycho -computer and design of the elementary 'yes-no' switch or 'Psychobutton'. 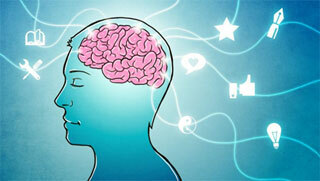 In parallel, there were held the works on program and technical implementation of ideas of neurocomputing realization. Neurocomputing, which began with the perceptrons of Rosenblatt, was presented in the form of multilayer neural networks, modeling the mechanisms of brain activity, including the effects that we refer to as power-willed infrastructure. Later in the course of work there was found a bioresonant environment, fully suitable for implementation of the 'Psychobutton' concept. Such an environment appeared to be a virtual field generated by VNC 'EMBRION'. On the basis of VNC 'EMBRION' there were developed several modifications of program and hardware implementations of 'Psychobutton' that register volitional mental human impacts on specially prepared electronic devices made according to ZL technology. 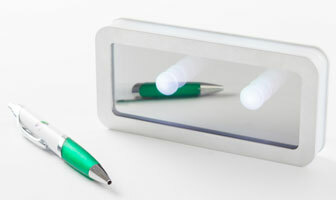 ZL technology changes the color of the LEDs depending on the environment and responds to human consciousness and subconsciousness. Under normal conditions (ie, when the device is left by itself for a long time), the device produces a signal whose statistical properties are in good agreement with the predictions of mathematical models. This signal is truly random, as it must be according to quantum mechanics. However, the human mind is capable of changing the statistical properties of the random events flow. During the experiments it was found that a person's intention really causes a significant, though inexplicable shift in reading the devices. For people who are interested in health, spirituality, meditation, or thinking mechanisms, researches in the field of human mental impact on the physical world and ZL technology give rise to new insights regarding the basic terms and ideas about the nature of consciousness and means to control both your health and vitally life-event processes. 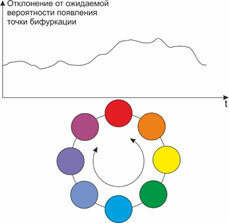 In the ZL Technologies there are implemented two algorithms of work, 'White - colorful' and 'Rainbow'. The main thing that distinguishes these algorithms is a mathematical device, based on which a microprocessor analyzes the behavior of bifurcation points generated by VNC 'EMBRION' from the stream of random events, and displays it in color combinations. The device does not affect the level of the existing artificial electromagnetic fields and does not interfere with other electronic devices. When you use both Zenlight and Bioland technologies there happen a strengthening of human capacities in the field of intention and mind-volitional impact on running metabolic and psycho-emotional processes as well as an external life event line. The Zenlight and Bioland technologies in the device are implemented on the same noise generator and processor. On the one hand, the characteristics of the field generated by the BL, associated with space-temporal parameters of the physical processes occurring in the environment between the Earth's surface and the ionosphere, and on the other hand, due to the ZL technology, they may be under the mental-volitional influence of the user. In other words, the generated BL field, originally corresponding to appropriate physiological parameters of the body, through the mental structures of the human changes its parameters. 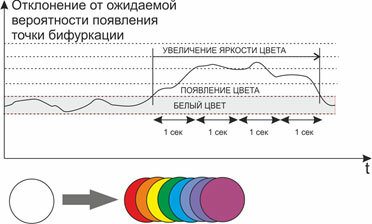 In this case, the objective function is the intention of the human operator, so there is a biological mental feedback. A person having an information-quantum influence on ZENWAVE, makes changes to the generation of the field in accordance with his/her mental attitude. And then this field, corrected by the operator's intention, affects him/her considering the modified mental attitudes, helping the person to strengthen his/her intention subconsciously at the information level. Thus, the combined use of BL and ZL technologies allows to accelerate and make more qualitative the process of human abilities development and life changes.